LOCATION LOCATION LOCATION !! CHAIN FREE !! 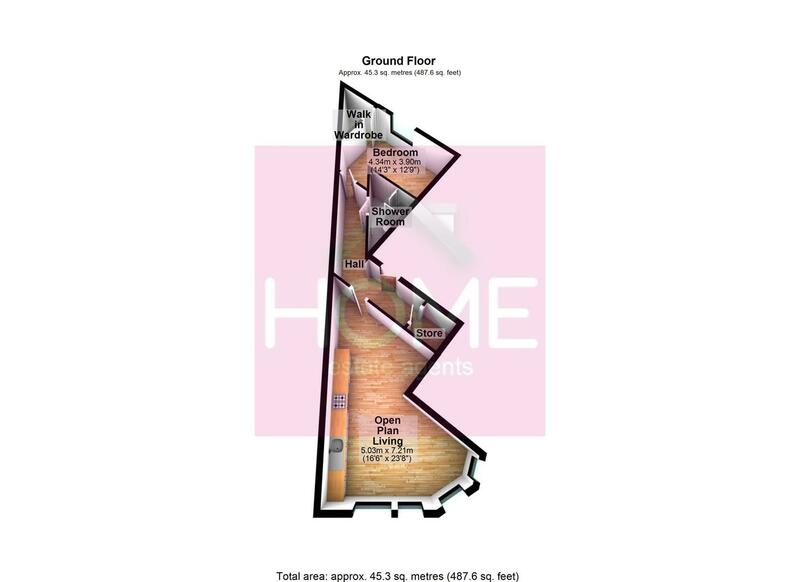 HOME ESTATE AGENTS are privileged to bring to the market this immaculate One bedroom apartment situated in a exclusive development right in the heart of Chorlton with its vibrant night life and restaurants literally on your door step !! In brief the property comprise of, communal entrance, hallway,open plan living room with fitted kitchen and dining area, spacious bedroom with walk in wardrobe and shower room, The property had a full renovation program in 2016 and has new UPVC double glazing and electric heating throughout. With great local amenities and transport links including the metro-link and M60 motorway network we recommend a early viewing !! Call HOME on 0161 871 3939 to arrange a suitable time. Laminate floor and electric wall mounted heater. UPVC double glazed windows to the front elevation, selection of wall and base units fitted with roll edge work surfaces incorporating a stainless steel sink with mixer tap, single oven, ceramic hob, stainless steel extractor hood with matching splash back, built in microwave, fully integrated fridge freezer and washer dryer, TV point, laminate floor and electric wall mounted heater. UPVC double glazed window to the rear, walk in wardrobe and electric wall mounted heater. Corner shower cubicle fitted with electric shower, low level w/c, vanity sink unit and tiled to compliment.